As promised last Wednesday, here's a thorough post of what Forever Strong Wellness is all about. Forever Strong Wellness was founded by Ms. Lanie Owen. She holds a Bachelor of Science in Health and Wellness and Master of Science in Health Education. She is also a Certified Personal Trainer and a Certified Health Coach. 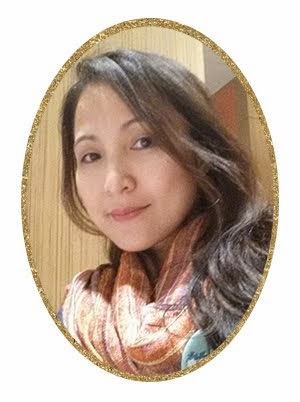 She practiced in the U.S. for over a decade before moving to the Philippines over a year Ms. Owen follows the 3 pillars namely, education, natural remedies, and holistic approach, for a person to achieve a total health transformation. Ms. Karla Martinez was the first person I noticed upon entering the door of Forever Strong Wellness. How can I not notice her when I grew up singing her song "Changes", which was popular in the 80s. Ms. Martinez was giving her testimony for she was a happy and satisfied client of Forever Strong Wellness. While giving her testimony there was this beautiful woman beside Ms. Martinez. I knew she's the image model of Forever Strong Wellness. Until I got to talk to her during dinner. She is Ms. Ging Carsi-Cruz, 46 years old, and Ms. Martinez' sister. Ms. Ging was introduced to Ms. Lanie by Ms. Carla. The woman in the flyer is actually Ms. Ging - before and after. In her own words, "I needed to get myself into some sort of a weight loss program since I have been overweight for the past 14 years. This was ever since I gave birth to my first son. My weight just kept accumulating through the years despite my efforts of dieting, fasting and exercising. After 6 weeks, I lost 18 pounds. I exceeded the goal far beyond my expectations. In fact, in six months, I got to a dress size and weight that I never deemed achievable! I dropped 8 dress sizes down and lost close to 50 lbs. Another beautiful lady arrived during dinner. Ms. Liza also testified how effective Forever Strong Wellness 6 Steps for 6 Weeks is. Ms. Liza and Ms. Ging are co-parents from their children's school. Ms. Liza was amazed at Ms. Ging's transformation. She soon enrolled at Another beautiful lady arrived during dinner. She also testified how effective Forever Strong Wellness 6 Steps for 6 Weeks. "The complete 6-Week Health Overhaul program including magnesium therapy, infrared sauna, exercise, eating guidelines and nutritional counseling helped me to achieve my current weight and healthy status." A lot of people equate losing weight with being healthy. While it is true that shedding excess pounds is good for everyone, it isn’t the only marker of good health. Weight loss is just one of the results of an effective holistic program. At Forever Strong Wellness Center, the goal is holistic health. Weight loss is not the end all, it is just the beginning. This is what the 6-Week Health Overhaul Program is about. The 6-Week Health Overhaul Program is based on 3 pillars: education, natural remedies and holistic approach. These 3 pillars provide the backbone to sustainable weight loss, strong physique, and a healthy lifestyle. The program consists of 6 strategies that synergistically work together to bring about health transformation. Intensive, holistic, and personalized, this program is perfect for anyone who wants to be healthy, whether you’re someone who has an illness like hypertension or diabetes, or you’re simply feeling like age is catching up with you. Step 1: Health assessment, where testing and evaluation are done to determine your body composition, resting metabolic rate, cardiovascular fitness, flexibility, muscular strength, postural deviations, and risk factors for cardiovascular diseases. Certainly, these steps entail a lot of data collection. However, this step is crucial to develop baseline information as it is used to guide the design of your whole program. Step 2: Metabolic typing, which provides information on your nutritional needs and as a result addresses issues like food cravings, hunger, low energy, weight gain, and metabolic disorders. Step 3: Nutritional counselling, where food types and eating habits are learned to help you not just lose weight and sustain ideal weight, but also prevent the development of cardiovascular diseases. Step 5: Detoxification. This step involves an infrared sauna to not just relax your muscles but more importantly to also flush away toxins and cleanse the body. Step 6: Transdermal Magnesium Therapy (TMT). TMT is meant to provide an effective means to infuse magnesium into body effectively. Incidentally, the lack or deficiency in magnesium has been proven to lead to type 2 diabetes, high blood pressure, and heart disease. After the 6-Week Health Overhaul Program, expect to see changes in your body and health. You will gain energy, strengthen your immune system, get rid of body aches and pains, and lose weight, of course. The 6-Week Health Overhaul Program may bring about all these benefits, but you don’t have to stop after 6 weeks. Some people go for a back-to-back to help them address a serious health concern. Apart from the 6-Week Health Overhaul Program, Forever Strong Wellness Center also offers essential oil therapies. These therapies are targeted to provide relief from back aches and pain, including joints and muscle discomfort. The Raindrop Therapy is a MUST TRY! It is a 90 minute technique, focused on the spine and uses 9 different essential oils. The goal is to relax the spinal nerves and to provide antioxidant protection against the possible presence of microbes that lay dormant in the spine. During the event I tried Raindrop Therapy for just 30 minutes, to know if it's not just one of those massages done in most spas. Oh no, it's not. I HIGHLY RECOMMEND THIS! It relax not just my body but my mind as well. The Vita Flex Technique, on the other hand, is a therapeutic technique adapted from Oriental acupuncture, acupressure, and reflexology made more effective with the use of essential oils. It is a foot and hand massage but it rejuvenates the whole body. And then there is the Ortho Ease Massage, which targets deep tissues in localized areas of the body to relieve pain and discomfort. It soothes muscle aches, sprains, and minor swelling. For middle-age adults, the programs at Forever Strong Wellness Center will provide the foundation of health so you can maintain your new weight, avoid premature aging, strengthen your immune system, get rid of body aches and pains, and gain energy. Visit Forever Strong Wellness at Unit 101 Richbelt Terraces, #19 Annapolis Street, Greenhills or check foreverstrong.biz, or call 7051798﻿.